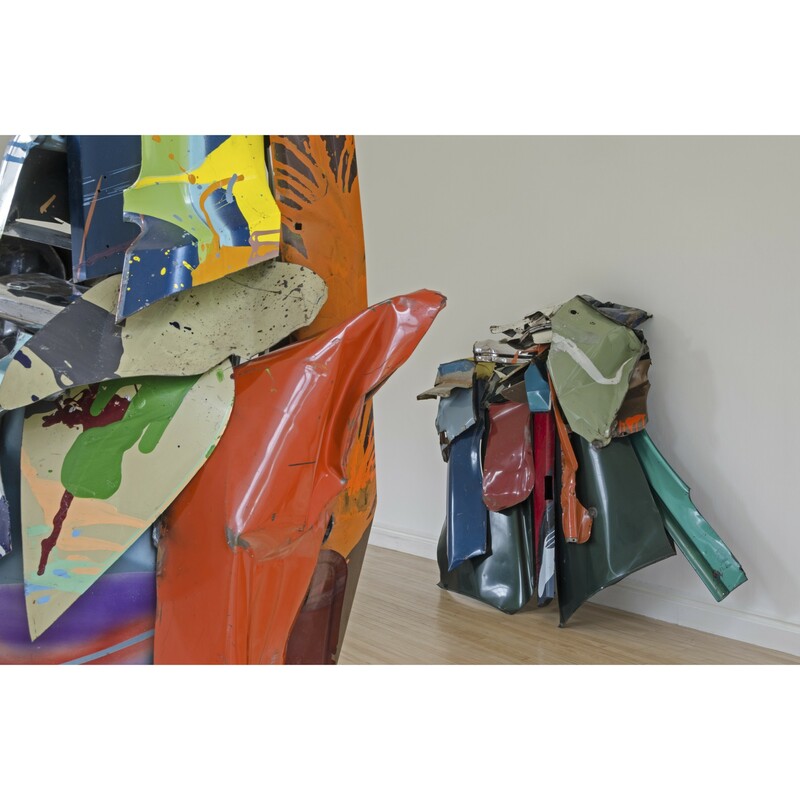 John Chamberlain, installation view, Inverleith House, Royal Botanic Garden, Edinburgh. © 2015 Fairweather & Fairweather Ltd/Artists Rights Society (ARS), New York. Photo: Michael Wolchover. Courtesy Dia Art Foundation, New York. This is Chamberlain's first solo exhibition with a public gallery in UK. The contrast of Inverleith gardens with Chamberlain's momumental twisted foil sculptures will accentuate the surprisingly natural and organic qualities of Chamberlain's work.